In the beautiful country of New Zealand, located in the city of 1.1 Million people, Auckland houses the headquarters of the iconic brand of IMAGE loudspeaker. In 1968, a passionate young man by the name of Chris Ball began the small production of loudspeakers. At the time, the name Monitor Acoustic Speakers impressed many people and this became the start of today’s business. Today in a world of technology, our speakers are built and conceived with the help of computerized design software tool. Back then, without these aids, it was pure talent and brainpower that brought these products into reality. One of the first products that came out from 1968, when tested by the staffs of our labs, proved to still be up to today’s standards. A time where the advanced technology did not exist, a true compliment to Balls achievements and ingenuity. With such a consistently high standard of workmanship, Monitor Acoustic Speakers was also chosen to manufacture cabinets for the NZ importers of LINN, Mission, Energy, Meridian, Celestion, Magnat, and many more. Monitor Acoustic Speakers was growing and growing. The company name was changed to Image Loudspeakers Ltd and MAGE became a Registered Trade Name in New Zealand in 1998. IMAGE loudspeakers established a broad dealer network within New Zealand and overseas. By maintaining the focus of high quality sound and a hand crafted finish, the IMAGE range has been able to compete with bigger and imported brand. IMAGE is not only able to make very high quality products but also to make them affordable, making our company stand out as one that can offer a great product all the time. Today, Chris has retired, however, our new management team works hard to preserve and continue the spirit of the company’s founder. As with any product, the best final build quality is dictated by what components go into making up that total product. As such with our speakers, only the best components make up our products to ensure that the best possible quality is achieved. IMAGE Loudspeakers does not use normal electronics parts from the market. We use world proven audio components that are built and tested individually. Only the industrial grade, specialized audio parts are used and every single component is tested and validated at Imagespeakers to ensure the highest final build quality and functioning results. 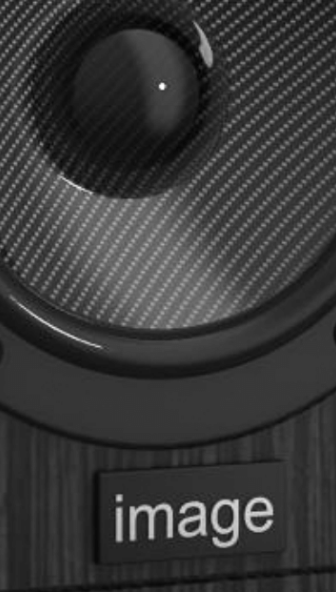 With over 50 years experience in the audio industry, our experienced staff utilize both the art of hand building and the modern technologies of computer-aided design software to bring an idea from paper to a well-crafted speaker. Each product that goes through the assembly line will always be checked at each stage by an experienced and skilled craftsman. Our quality control has very strict guidelines to follow before the final product goes to the customer. Within each product, each and every single component must pass all quality control standards and in doing so ensures that the customer will receive the highest standard of craftsmanship. At IMAGE Loudspeaker, our most fundamental goal is to build speakers which can produce sound as close to the original source as possible. To give the clearest and most crisp experience any audiophile would go after. To this day, the company is looking for new ways to innovate how we perceive sound, reinvesting most of the profits into Research and Development. IMAGE Loudspeaker may not be the biggest or the most famous company, but it is a company which is loved by its customers for its dedication to provide the best.